Vaping could be banned completely in America unless the supposed ‘teen vape epidemic’ isn’t stemmed says FDA supremo Scott Gottlieb. He made his threat at a public meeting last week worryingly titled Eliminating Youth Electronic Cigarette Use: The Role for Drug Therapies. What’s worrying is the FDA is still angling at getting so called vape addicted youngsters ‘weaned off e-cigs’ by using mind altering drugs that have terrifying side effects. This despite the failure of a recent ‘study’ by Big Pharma’s Pfizer plying kids as young as 12 with Champix – a drug I’ve written about before…see Suicide or Vaping – yeah one of the side effects is indeed suicidal thoughts…scary huh? As you can see from the link Pfizer has recently conducted trials on medication aimed at weaning 12 to 17-year-olds off nicotine – though not focusing on lit tobacco – only e-cigarettes. Thankfully it failed but wow using kids as guinea pigs to wean them off something that’s 95% safer than smoking? Talk about using a steam roller to squash a pea…this is like something Mengele would have done – shocking at best criminal at worst. However drugging the kids of America doesn’t seem to faze the anti-vape brigade far from it… I’ve said before the anti vape crowd over the pond have totally lost the plot and many of them seem absolutely bat sh!t crazy. They’re like some kind of band of religious fanatics whipped up into a bile spewing fervor with Gottlieb their crazy snake charming preacher screeching hell – brimstone and damnation from his pulpit of pomposity. You think ‘bat sh!t crazy’ is a bit strong? OK how about the ‘anecdotal evidence’ given by one of the crazy crowd suggesting a teen so hooked and out of his/her mind on nicotine from a vape had committed suicide by jumping in front of a train…WTF??? So very sad to say the least however that has since been shown to have not been a child at all but someone in their 20’s who I have no doubt had some kind of associated mental illness. It’s not vaping that causes suicidal thoughts at all…but the very drugs the FDA is considering using to tackle this supposed teen epidemic…irony of the very worst kind. Jesus H Christ how the hell does a 5 year old get hold of JUUL for one and two how in the hell can a little kid vape 3 pods in a ‘day’ without ending up in a nicotine coma or worse. Christ if I chain vape a 6mg juice after 15 minutes I need a sit down lol. The tragedy is all of these blatant lies wrapped up as ‘anecdotal evidence’ are lapped up by the mainstream media – force fed to the public and become fact. ‘Facts’ and I use that in the very loosest sense of the word – that has led Gottlieb and the FDA to do a 180 on all things vaping and now threaten like some ham actor playing the part of a Mafia under-boss to ban vaping in the States. “Existential Threat” – Fancy Words So What Do They Mean? Even if we’re successful at implementing our regulatory steps to address the access and appeal of these products to kids, those actions will take time to have their full effect. Meanwhile, the appeal of these products to children, and the resulting increase in youth use, shows no sign of abating. I fear that the survey data that we’ll get for next year will show continued increases in youth use of e-cigarettes. We’ll be in the field between March and May with the 2019 National Youth Tobacco Survey. I’ll tell you this. If the youth use continues to rise, and we see significant increases in use in 2019, on top of the dramatic rise in 2018, the entire category will face an existential threat. You use existential to describe fear, anxiety, and other feelings that are caused by thinking about human existence and death. A threat is a statement by someone that they will do something unpleasant, especially if you do not do what they want. Do as I say or else capiche? The only ‘deaths’ in this case will be the millions upon millions of smokers around the world and not just America that will die if they can’t have access to life saving vapes and e-cigarettes. And of course if some new ‘wonder drug’ is created to get the kids off the vapes let’s hope suicidal thoughts are not part of the side effects else we’ll be looking at a teen suicide epidemic. It’s really that simple. It began with that ridiculous flavour ban in San Francisco and slowly but surely more and more states are bringing in Draconian laws aimed at eradicating vaping. As more and more states join in the ‘mission’ to ban vaping and flavoured e-liquids the more likely it is for the FDA to ban it countrywide. I wrote a tongue in cheek short story over the New Year – the Rise of the Vapesters – looking at a fictional future where vaping was banned and criminalized in America. I just watched Grimm Green’s latest and excellent 510 video and one of the points I raised in the short story was jail time for folks caught with vape gear. Fast forward to today and to Michigan and House Bill 4017 – Youth Tobacco Act. This is proposed legislation that would kind of criminalize kids in possession of tobacco OR anything vape related. Whilst – as yet – the ‘punishments’ don’t include time in the Big House the offence would be classed as a ‘misdemeanor’ – so whilst not actually a crime something very very close – scarily so. But hey I’m sure Gottlieb and his band of soccer moms would love to see chain gangs of kids in orange jumpsuits across their towns and cities…criminalizing kids that vape? FFS. Once you start on that road the laws and therefore punishments have to get tougher and yup jail time for 19-year-olds ‘caught’ vaping ain’t too much of a stretch – just look at Australia and Thailand for goodness sake. 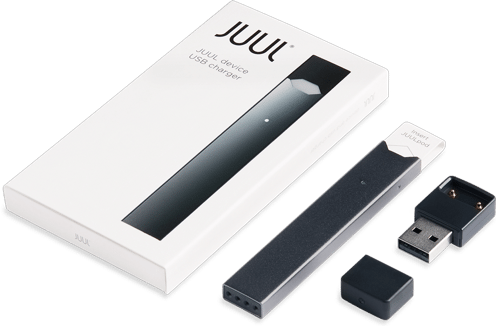 This whole ‘war on vaping’ began when the mainstream media picked up on the JUUL factor – as I’ve said many many times a clever marketing ploy by the company? If it was it was genius if it wasn’t they certainly never seemed to mind all that adverse publicity that saw them grow at an amazing rate. They’ve since thrown vaping under the bus and given they cosy up to Gottlieb alongside 4 of the Big Tobacco companies to hand-wring and thrash out ideas to stem the alleged ‘epidemic’ they are now doing the job of the tobacco companies for them. Look IF the so called Big 5 e-cig companies in the US don’t follow Gottlieb’s threat to the max then vaping will be banned and guess what…kids and adults will go back to smoking…and who wins? Big Tobacco and Pharma – the kill and cure…sickening really. Teen and adult smoking rates fell at amazing levels in the US alone – coincidentally just at the time e-cigarettes came on the scene. The losers were also Big Pharma who saw sales of patches – gums and nicotine sprays slump as more and more smokers switched to vaping. In the US money is a key factor in pretty much all of politics – some transparent but much of it hidden in shady smoke filled rooms [pun intended]. One key source of money for many cash strapped States is the so called Tobacco Master Settlement Agreement which in simple terms was a ‘cover-all’ fine of sorts levied on Big Tobacco for the damage to health they’d knowingly caused. In other words states that signed up to the deal are given huge lump sums each year as if you like reparation – figures of around $206 billion have been mentioned – last year alone it was reported those states received in excess of $27.5 billion dollars with barely any of it used to help folks quit the cancer sticks. Now that’s a ton of money these states have become to rely on and not just for any anti-tobacco programs they may [or may not] be running. Forgive me if this old cynic asks cui bono? As in who benefits if vaping is indeed banned over the pond? And here’s an awesome blog post from vape advocate Clive Bates asking if there even is a teen vape crisis.